Numerous recent studies and media stories have identified perceived unfair administrative and policing practices that have taken money out of Black and Brown neighborhoods. A Chicago Tribune story uncovered a massive discrepancy between the number of bike citations written in majority Black communities compared to majority white ones. A WBEZ story highlighted that increased ticketing for city vehicle stickers disproportionally forced Black residents into debt and the criminal justice system. 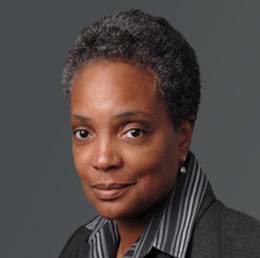 A Chicago Sun-Times piece found that despite de-criminalization of small amounts of marijuana, Black Chicagoans account for the vast majority of arrests and tickets for its possession. Twitter users discovered and publicized a joint Norfolk Southern and Chicago Police Department strategy of placing bait-trucks filled with new shoes in poor, Black neighborhoods with the intent of arresting those who went into the bait trucks.